which of these two Фильмы is better? Should me and darkalpha be together beacuse i broke up with Alphakate21 and so darkalpha doesnt want to goout incase it hurts him? Выбор фанов: Cant decideyou belong but...what about alphakate21? Hell yeah! Ты match ! how would Ты rank the вверх 5 best Garth and Lilly scenes? My step daughter is obsessed with Humphrey. Is there anywhere I can purchase a Humphrey doll или stuffed animal? how would Ты rank the worst scenes in A&O 3? how would Ты rank the pups' best scenes? This is the таблица of contents and brief chapter Описание for my new and upcoming Alpha and Omega Фан fiction, Alpha and Omega: A Hero's Past. It takes place around 20 years before the first movie and focuses on the traumatic puphood of Humphrey, Kenya, Adam, and Garth. This is to give a еще detailed version of what we learned in my other two stories, A&O 9: Missing Parents and A&O 10: The Legend of the Peaceful Warrior. It will be released in full on the 10-year anniversary of the original movie. I know I'm, like, 8 years too late to Присоединиться the fandom, but dang it, my interest in this franchise has returned and I'm gonna talk about it. Let's start at the beginning, which is a pretty good place to start, in my opinion. I first discovered Fanpop last summer. 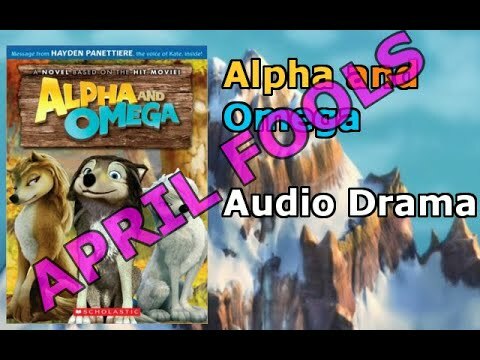 I had just recently remembered my childhood movie, Alpha and Omega and I had been watching it again. But one thing kept nagging on my mind and that was the fact that they never made any mention of Humphrey's parents. So I searched Google for who his parents were and one of the results was a link to a Тест Вопрос on a site called Fanpop. After clicking on it, I learned that this was a Фан site for pretty much anything. The General featured in A&O 10 originally served in Kuwait and was a veteran of Desert Storm. Before entering the military, he had excelled in karate as a young adult and was a very capable fighter with just his hands, being able to disarm someone in a matter of секунды and was also an incredibly agile gymnast, easily capable of backflpping whenever he pleased. This combination of karate and gymnastics made him an exceptional opponent, able to easily avoid an attack and swiftly deliver a spin-kick of deadly proportions. Humphrey was beginning to get tired. This battle had done еще than wear him out, but it was continuing to go on nevertheless. As he looked at the valley around him, all he saw was death and carnage. The Волки were slowly being picked off by the human reinforcements that were no easier to see now than they were before. He knew that something had to be done about this. He just didn't know what. Humphrey turned to his sister and smiled. "You did the right thing back there," he said. "What, did Ты really think that after all of these years without you, I would just go back to my boring life as a house pet?" she asked. "Being separated from Ты was the worst thing that's ever happened to me and I will never let it happen again." This is an interview I found that somebody did with the creator of Alpha and Omega. Check it out! Video by my friend Micheal Killey who supports Alpha and Omega VR. Please watch the video before Ты comment. Thanks. a comment was made to the photo: Hookers. Even волк packs have them. a photo Добавлено: Hookers. Even волк packs have them. Alpha and Omega VR: Topic.